An ambulance is shown in this undated file photo. 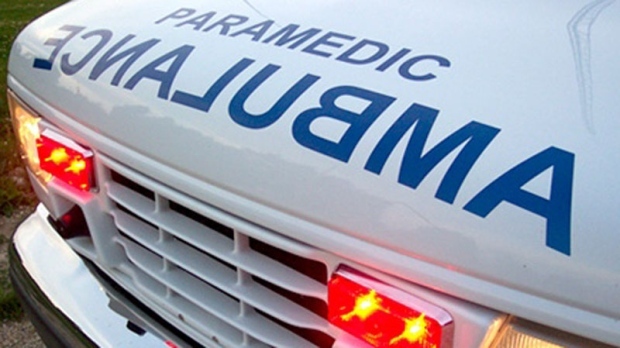 VICTORIA - British Columbia's ambulances only made their target on life-threatening calls in urban areas half the time they were dispatched, the provincial auditor general said in a report released Wednesday. Carol Bellringer said the first aid response is well below the BC Emergency Health Services' target times and could impact patient care. The missed response targets, almost one hour in some cases, are significant because urban areas account for 86 per cent of B.C. 's life-threatening 911 calls, said Bellringer. The audit, which examined the period from April 2016 to December 2017, found ambulances in urban areas reached their nine-minute response time target on 50 per cent of life-threatening calls, while responses in rural and remote areas achieved and exceeded the time targets, she said. "This increases the risk that some patients do not receive the care they need when they need it," Bellringer said in telephone news conference on Wednesday. Bellringer said the audit found ambulances are getting to rural emergencies within the target time of 15 minutes 79 per cent of the time and to remote calls within the 30-minute limit 77 per cent of the time. A spokeswoman for BC Emergency Health Services said its urban target times are improving and that gap is closing rapidly. Linda Lupini, BCEHS vice-president, said the agency is implementing a three-year plan that includes measures to meet the emergency response targets by next year. She said the measures, which include a new dispatch process to prioritize emergency calls, is already showing improved results. "Since we implemented our changes, including a new deployment, we are actually meeting our 2020 targets already on immediately life-threatening calls," said Lupini in an interview. "Yes, we absolutely believe we will hit our targets by 2020 and we are hitting our targets right now for immediately life-threatening calls. Lupini said the service has increased its contingent of paramedics, dispatchers and ambulances, including 119 regular paramedics, more than 100 specialized paramedics, 20 emergency dispatchers and six nurses to help with less urgent calls. Bellringer said initial data from 2018 indicates only a slight improvement, 51 per cent, in urban response times on calls, but Lupini said the auditor only has results from the first few months of last year and the most up-to-date data show huge improvements. Bellringer's report also called for better co-ordination between ambulance services and fire departments, which often dispatch firefighters to emergency calls. "The absence of a co-ordinated approach increases the risk of inconsistent application of medical standards, limits understanding of the care provided and the opportunities for improvement, and increases the risk that first responders are not deployed to match patient needs," says the report. Bellringer's audit recommended the Ministry of Health, local governments and BCEHS work together to implement a co-ordinated response to emergency services. It called for signed agreements outlining the roles and responsibilities of fire departments, ranging from levels of care being provided to notices confirming involvement of first responders. "It does make sense and we are working hard to make sure those get signed, but we can't really compel municipalities to sign them," said Lupini. She said fire crews automatically go to life-threatening emergency calls.